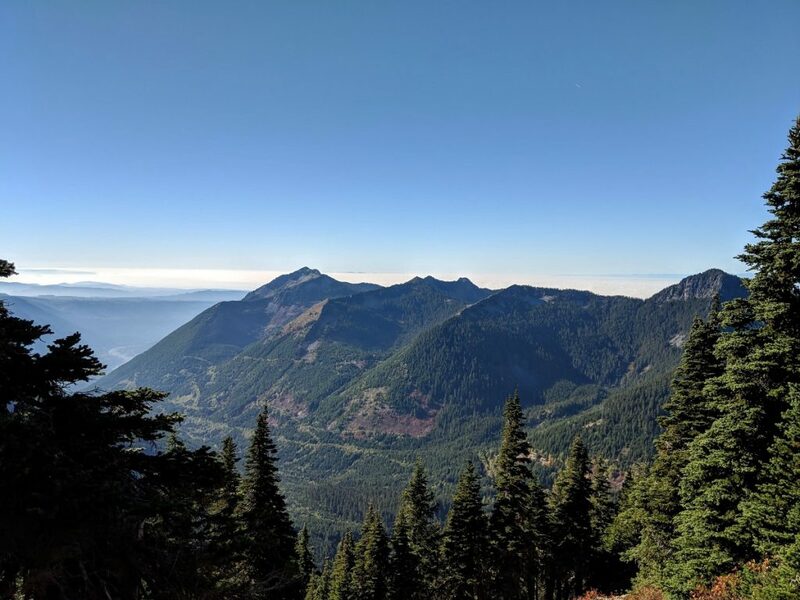 We decided to take advantage of the PNW’s unseasonably clear, warm fall with a hike we knew had great views. 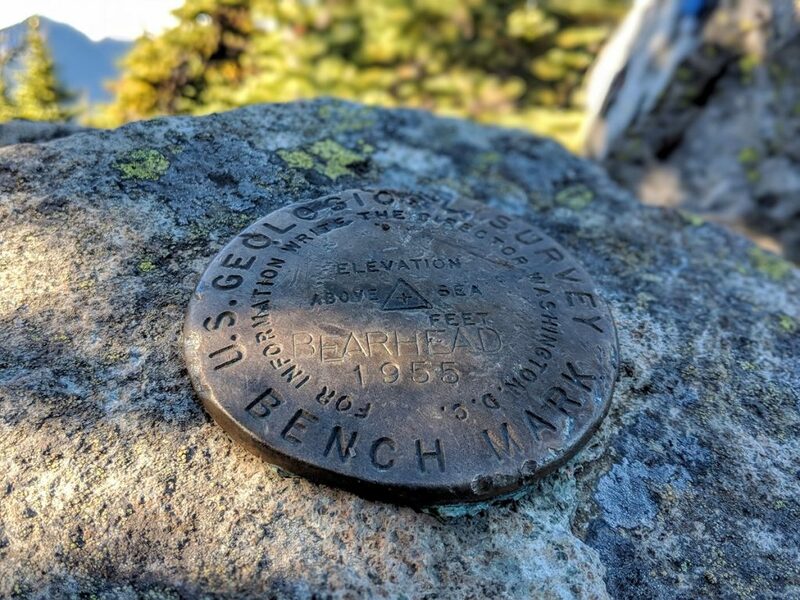 Bearhead Mountain is the highest point in the Clearwater Wilderness and is part of the Mt. Baker-Snoqualmie National Forest. 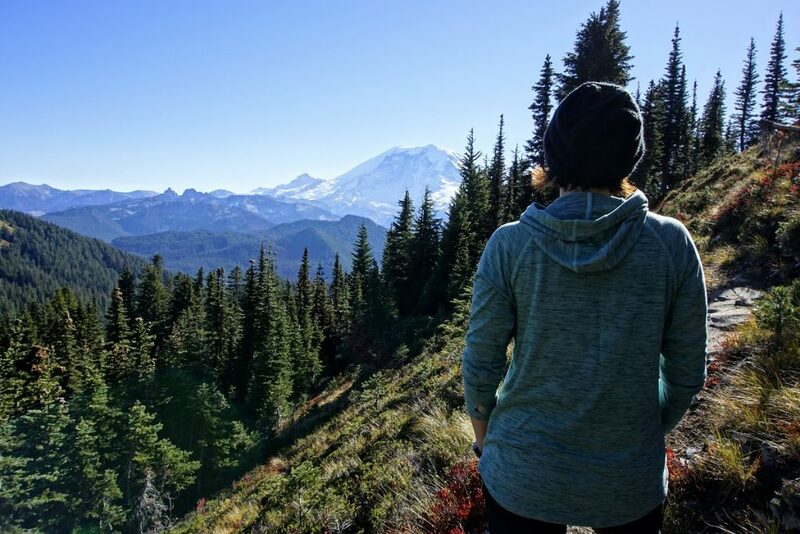 This wilderness borders Mount Rainier National Park to the south. 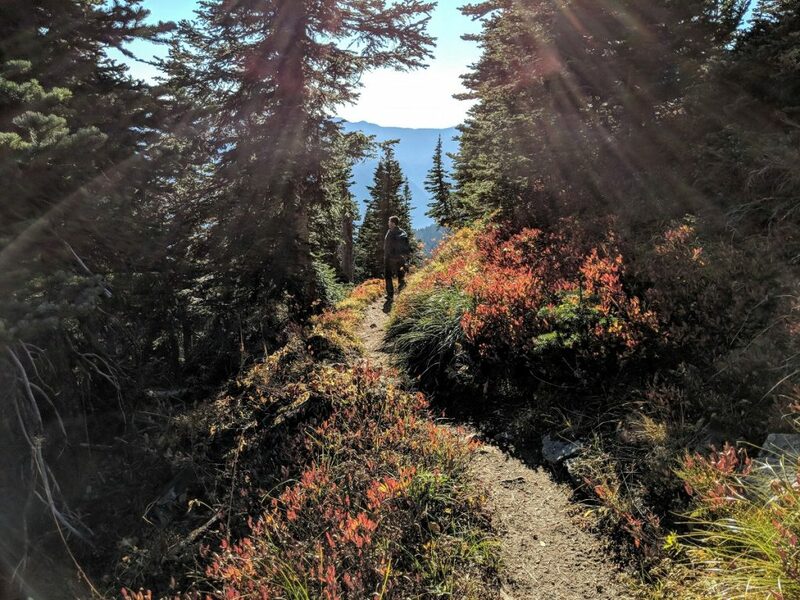 We hiked this route about a year ago, and there was snow on the ground. Mornings have been blanketed in fog and cloud cover which burns off sometime around noon. We timed our arrival to the trail head to coincide with the fog clearing. The parking lot was quite full because it’s shared with the popular Summit Lake trail head. It was 47°F when we arrived, but conditions were sunny with little to no breeze. The surrounding evergreens belie the fact that temperatures are cooling. It’s only in the smaller shrubbery and underbrush displaying their autumnal best that gives one visual assurance that fall has arrived. 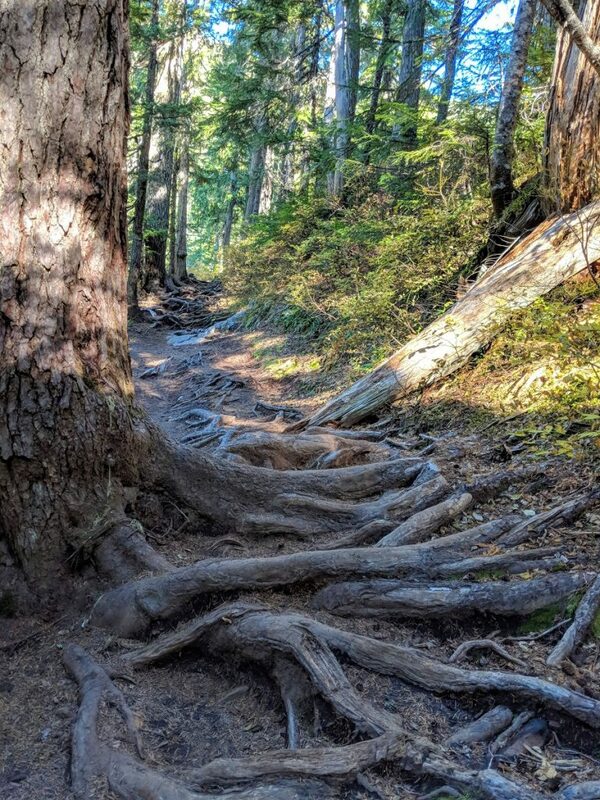 The trail is a mix of packed earth, rocks, and patches of twisted, lattice-like tree roots. 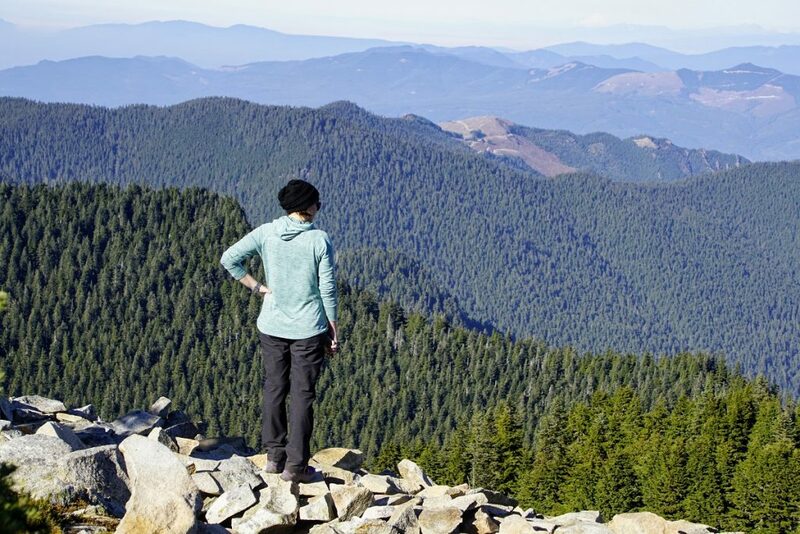 With an elevation gain of 1,789 feet in just under 3 miles, it’s a slow, deliberate ascent. Small wooden bridges and stairs are quaint additions helping traverse more difficult and wetter parts of the way. The trail splits at Twin Lake with good signage pointing to Summit Lake and Bearhead. We ascended a series of long switchbacks to zigzags through the forest and up the mountain. Since we were on the less popular trail, we only encountered two other groups. The path and peace of the woods were mostly ours this trip. 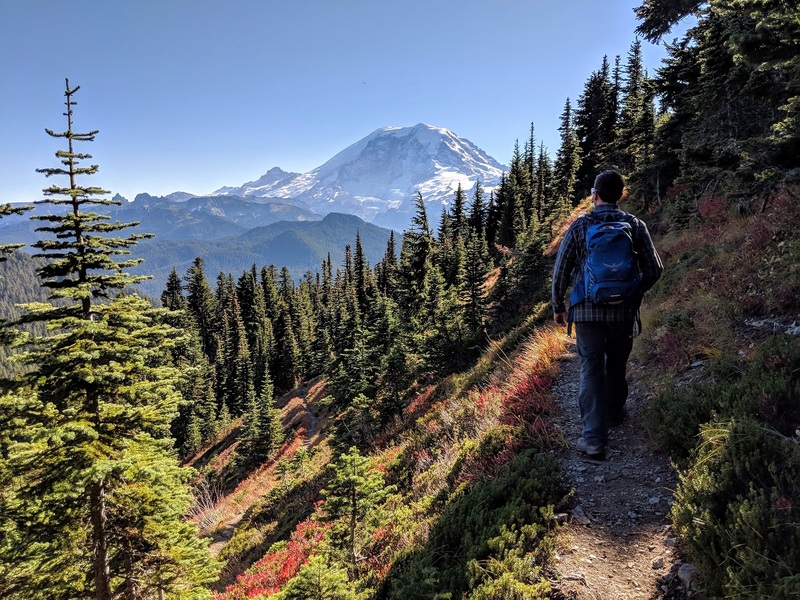 As we continued through the trees on the sometimes narrow path, we reached an “ah-ha” point where the trees gave way to a magnificent view of Mount Rainier to the right. We remembered this spot from last year and were just as impressed, if not more so, this time around. Continuing around and up, the lower ground cover and shrubbery began taking on hues of orange, red and gold, and the larger trees became more sparse. Adjacent rocky ridge lines came into view as we approached the top. The sky was a deep cornflower blue and nearly cloudless. The sun was bright and warm when we reached our destination. To the north, we saw Mt. Baker and Glacier Peak. To the northwest we saw the Olympic Mountains with the Puget Sound covered in a sea of clouds. 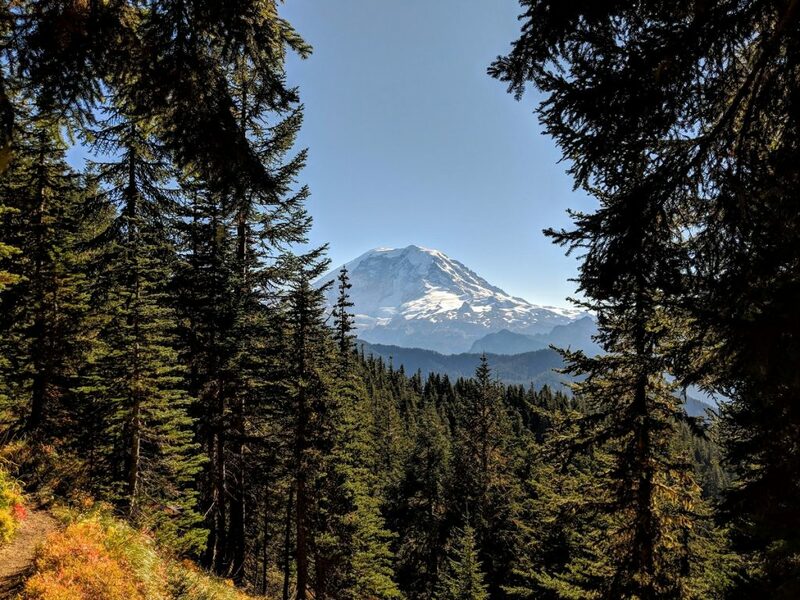 To our south, we saw the magnificence of Mount Rainier, Little Tahoma Peak, Steamboat Prow, Tolmie Peak Lookout, and Mt. 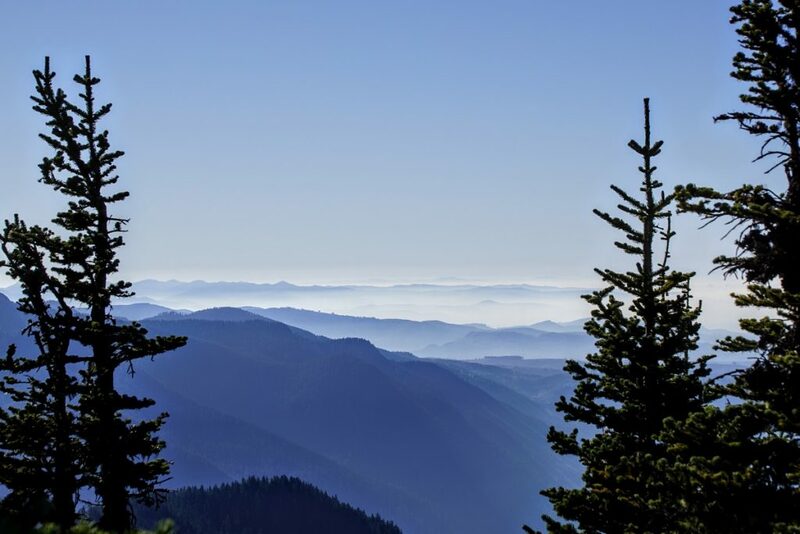 Fremont Lookout. The top is somewhat flat as it formerly housed a fire lookout. We positioned ourselves overlooking a scree field that is home to a small population of Pika. We enjoyed a snack as we kept a sharp eye for the little critters to pop out between the rocks. The unmistakable, high pitched “meep” is heard near and far as the Pika called to and warned one another of our presence. What a beautiful autumn day. We took photos in all directions and located the survey markers drilled into the boulders. A few structural remnants of the old lookout remain, but mainly it’s just a rocky sort of spot for a rest. The top itself is not spectacular, but the beauty in every direction indeed is.